This KB-1006 PTZ keyboard with joystick support 64 speed steps resulting in a exact pan/tilt control from very slow to very fast. The keyboard support “absolute positioning” to read out the position in degrees “angle readout”. 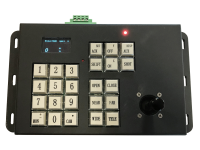 Advanced keyboard with joystick to control PTZ solutions. Simple keyboard with joystick to control PTZ solutions. 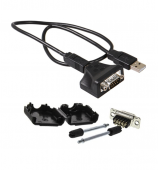 To control your pan tilt from a PC you can use a USB to RS-485/422 adaptor. 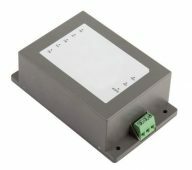 Absolute position angle readout can be received in realtime by use of RS-422. By use of RS-485 the position can be received by sending a QUERY command. A series of washer units to spray water on the camera housing window while using the motorized wiper. The BW2 washer series is a range of different sizes and different lift height of the water spray up to 30 meter above ground. Options available. Lift height up to 30 meter. A series of washer units to spray water on the camera housing window while using the motorized wiper. The BW1 washer series is a range of different sizes and different lift height of the water spray up to 12 meter above ground. Options available. Lift height up to 12 meter. The BW1/25-30 is a high power camera housing washer units used to spray water on the camera housing ex. in a tower (up to 30 meter) Options available. 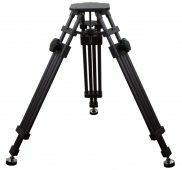 Heavy duty tripod for heavy load up to 150 Kg. Portable design and adjustable height. Feet brackets for ground mounting. 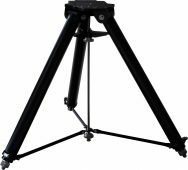 Heavy duty tripod for heavy load up to 150 Kg. Portable design and adjustable height. Mounting plate can be customized.